Today, Copenhageners have to travel to the Tønder Festival in south Jutland or up to Sweden to quench their thirst for ‘the auld tunes’ of folk and country. But next summer those haunting fiddles will be echoing across the rooftops of the Danish capital. From June 16-17 the inaugural ‘Komos Festival – Folk and Food in the Garden’ will rosin up its bow and sharpen its kitchen knives for a weekend of folk music and tantalising food in the King’s Garden (Kongens Have). “It is the hope and desire to build up a diverse festival that appeals to all age groups, genders and layers of society,” the festival organisers wrote. Over the course of the two days, 18 international and Danish artists will perform on two stages in the regal King’s Garden in the city. 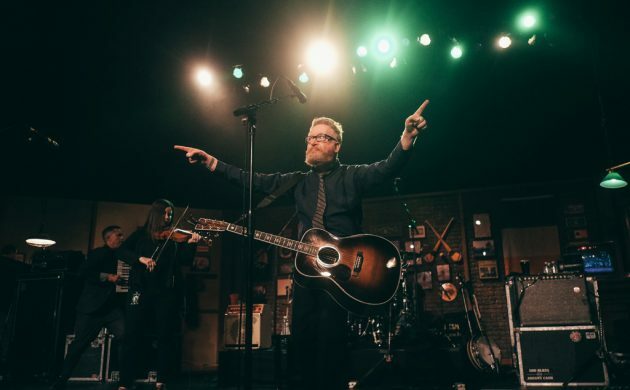 Among the bands playing will be Irish folk icons Flogging Molly and the British singer-songwriter Passenger. Kosmos has partnered up with the Meat District’s Food & Market to supply tasty food based on local organic goods prepared sustainably. Read more about the Komos Festival here (in English). November Music: Not your regular garbage!